Hi friends! We’re running Thrifty Thursday a little differently today. Yes, Goodwill is still involved in a FUN way! 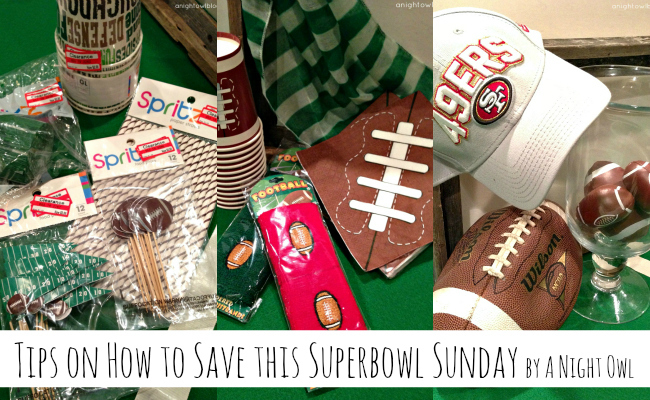 But today we’re focusing primarily on how to save money when planning the BIG PARTY on Sunday – yes, the Superbowl! Now football is HUGE in my household and especially because my husband’s favorite team is in the running this year (go Niners! ), I’m getting things ready! But I sure like to do things in the most cost-effective way, so here are a few party-planning, thrifty tips! Tip #1 – Shop the Dollar Store! 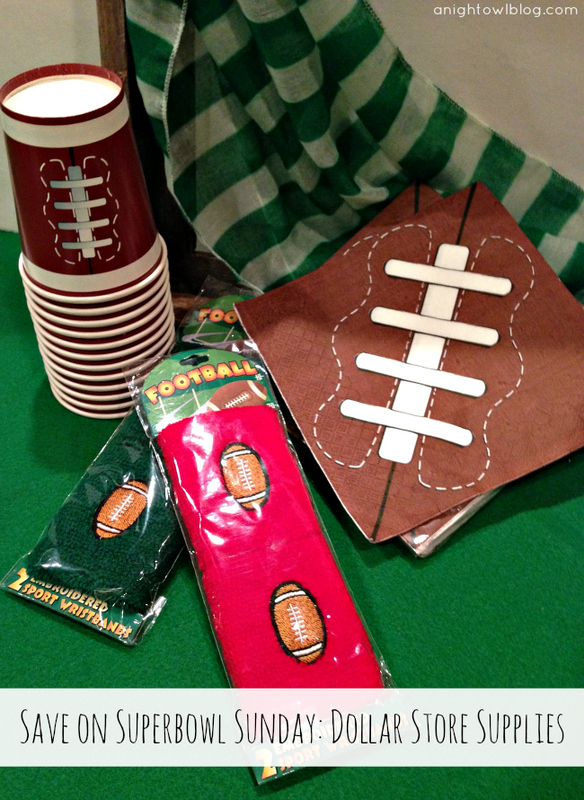 I don’t know about your local Dollar Store – but my Dollar Tree every year around this time has FUN football party items! Plates, cups, napkins…even fun goodies for the kids! You can even think outside of the box – right now there are a ton of St. Patrick’s Day items too, which are the perfect shade of football field green (like the scarf in my picture)! Tip #2 – Shop Clearance! If you’re like me, you KNOW you’re going to have a Superbowl party every year. 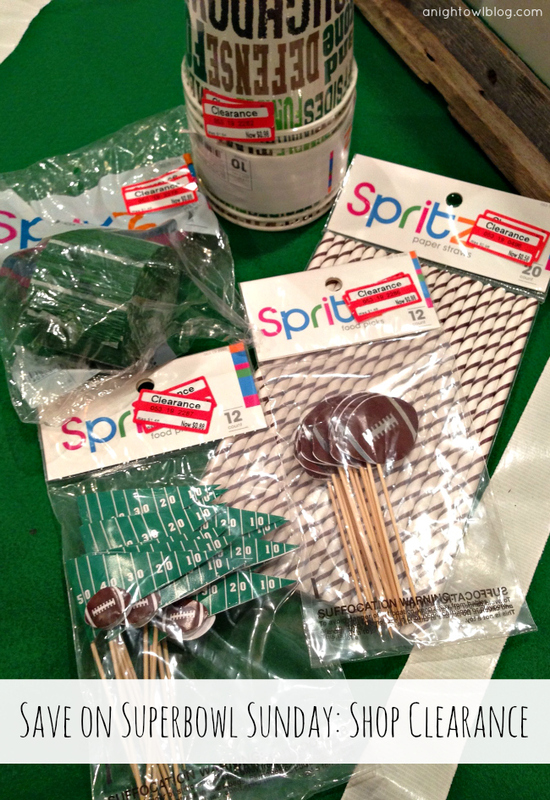 So a few months ago when I was at everyone’s favorite store – TARGET – I found a TON of awesome football party supplies: streamers, picks, straws and straws – all for pocket change! So of course I snagged them up and stored them for a couple of months and just broke them out this week. So fun and I know I got a screamin’ deal. 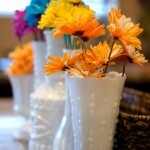 Tip #3 – DIY Some Super Decor! 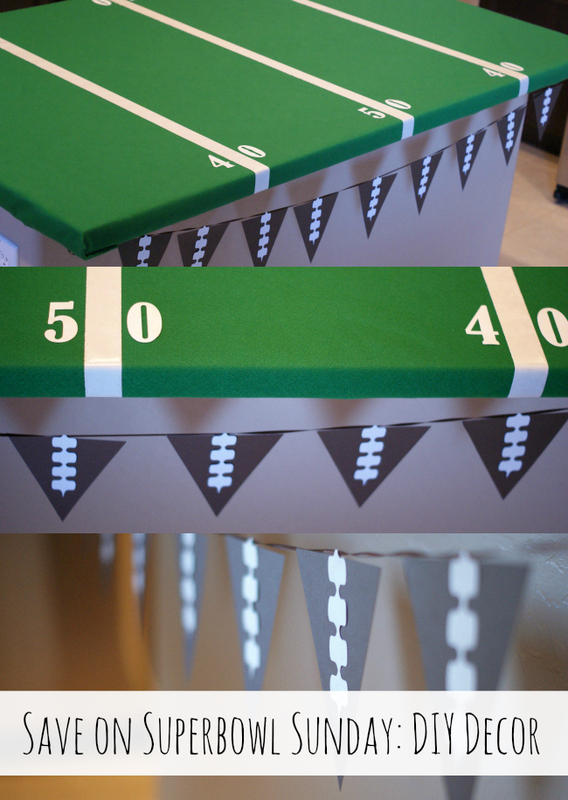 Earlier this week I shared with you my Easy Football Field Party Table that I made with $4 worth of felt, some white masking tape and some numbers. And it was a hit! Add in some homemade football bunting and you’re ready to go. All for a few bucks. Tip #4 – Use Free Printables! There area TON of them out there, from wrappers to boxes to toppers! 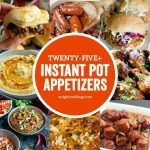 Shop around on Pinterest and you’re sure to find just what you need. 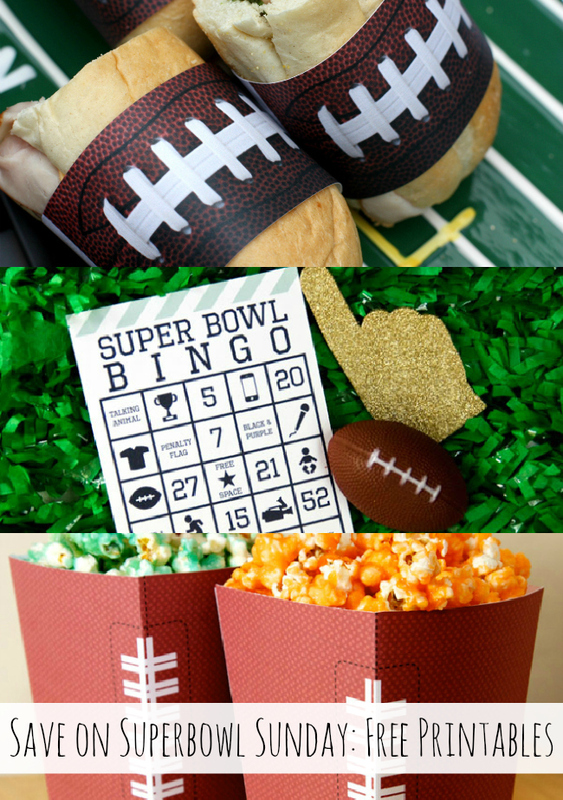 I’ve pinned a few of my FAVORITE printables on our Football Pinterest Board! Tip #5 – Shop Your Home! 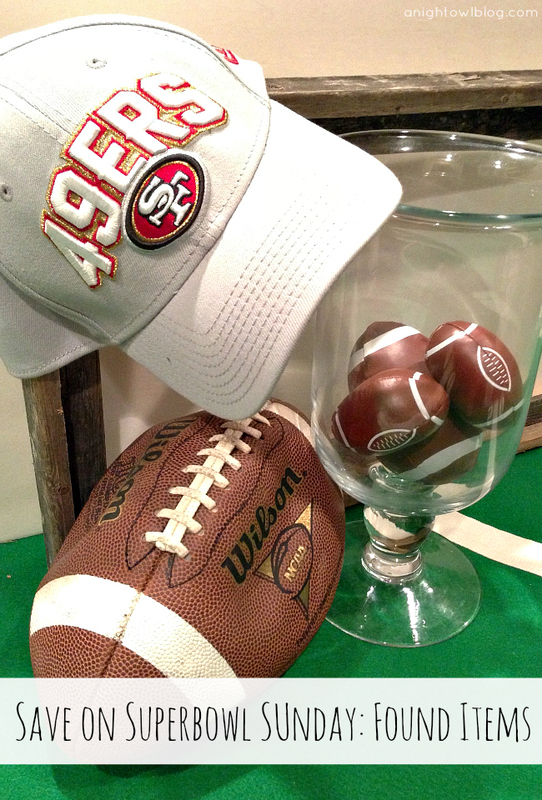 Lucky for me I have a huge sports fanatic in the home, so finding footballs and jerseys and 49ers memorabilia is so very easy. So if you’re in the same boat, walk around your house and pick up football or sports related items to complement your party’s decor! It really adds a fun and personal touch. 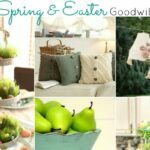 That’s exactly what Lisa from The Goodwill Gal and Popcorn Served Daily did to update her Goodwill hutch for the big day. And remember I told you I had something FUN to share? 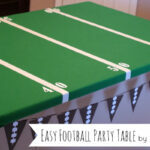 Well Lisa shared this fabulous video with me earlier this week – Superbowl Decorating Ideas! And today she’s allowing me to share it with all of you! Take a quick peak and if you like what you see, be sure to subscribe to her channel. She’s a wealth of thrifty, but fabulous, decor and party ideas! Well I hope you enjoyed the tips! I’m getting things ready for the big day and will have some fun things to share with you on Monday, the day after, so be sure to check back! OH my goodness, so many great ideas, thanks for sharing! Love the Dollar Tree! Thanks for the great post! Great tips, and if I was doing a party this year, I’d use them. I loved your tablecloth, but the husband will be away so no party for us. 🙁 But I’ll be saving all your great ideas for next year. I loved Lisa’s video…especially the bloopers at the end, too cute. Isn’t she great? I hope a football party is in your future! Love all the paper products. Those straws, I could’ve used them in my video! Thanks for sharing the video with your peeps! Thanks for allowing me to post, Lisa! It’s great! Great tips! I’ve got to scout out those sales!! Great ideas Kimberly! Love that video at the end too! Kimberly, we did end up having a last minute Superbowl party! I’ve posted about it and I’ve linked to you a couple of times. Thanks for all the great tips and inspirations! Great ideas here! I love how cute and festive all of this is. Thanks for sharing!